Kyle Surges is a Chicago based artist with a bachelors' degree from the American Academy of Art. His medium of choice is oil paint. Like many of the great artists before him, he has recognized oil paint as the superior medium for his approach to painting. It's slow drying time and smooth texture allows for excellent control with a fine sable brush to create trompe l'oeil works of art. The term trompe l'oeil which is French for, deceive the eye, is an art technique that uses realistic imagery to create the ﻿optical illusion﻿ that depicted objects exist in three dimensions. This type of art can also be considered photorealism or hyperrealism. Kyle fell in love with this approach to painting while studying at the Academy and has been fascinated with it ever since. It is a very time consuming style that demands precision and concentration. Each of the paintings on this website has taken him two to four months to complete. 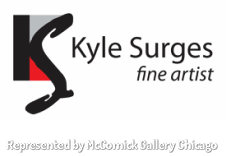 However, this site is frequently updated, so check back often to see Kyle's latest paintings and events. My paintings are derived from close visual observation. Primarily my subjects are manufactured items; of which I find their surfaces beautiful, and I enjoy the challenge of accurately recreating them in paint. Mainly, I prefer a smooth panel on which to work because it allows me to paint small detail. It also allows the paint to communicate to the viewer without interruption from textures of the physical surface. I prefer to pair these items with a minimalistic background to heighten the emphasis on the object. Often I paint them their actual size to add to the simulated reality of the paint. 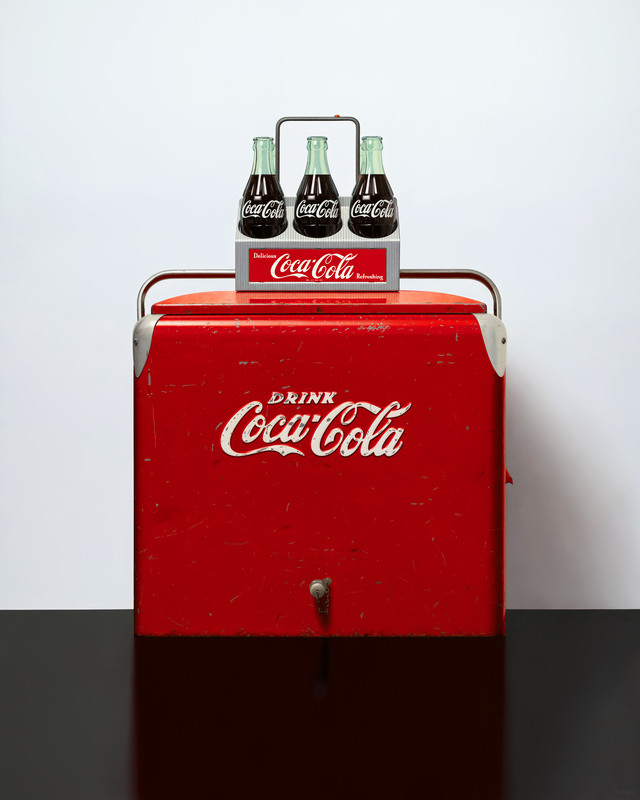 Pop artists utilized mass-produced objects to create a dialogue between high and low culture. My work is rooted in that dialogue. I consider myself a sort of pop realist. Objects I choose are based on my fascination with manufactured items; mostly vintage and sometimes witty things. They are often bits of discarded Americana that still hold some factor of importance in the present day. Over time everyday items make the transformation from ordinary to collectible. They inherit nostalgia and plead to be preserved. I like to present these items as sort of cherished icons and let the object dictate the theme of the painting. Some pieces can be historical while others are rather simple, amusing juxtapositions. These are items that require close observation in order to correctly present them. In my opinion, accurately representing these objects in paint is the only clear method for the viewer to identify these objects.